When is Summer Time 2019? In spring, when Summer Time starts, clocks move forward one hour. In autumn, when Summer Time ends, clocks move back one hour. Summer Time is the practice of moving the clock forward by one hour at the beginning of spring each year and moving it back one hour in the autumn. The aim is to make use of daylight longer into the evening by starting daylight an hour later in the morning. 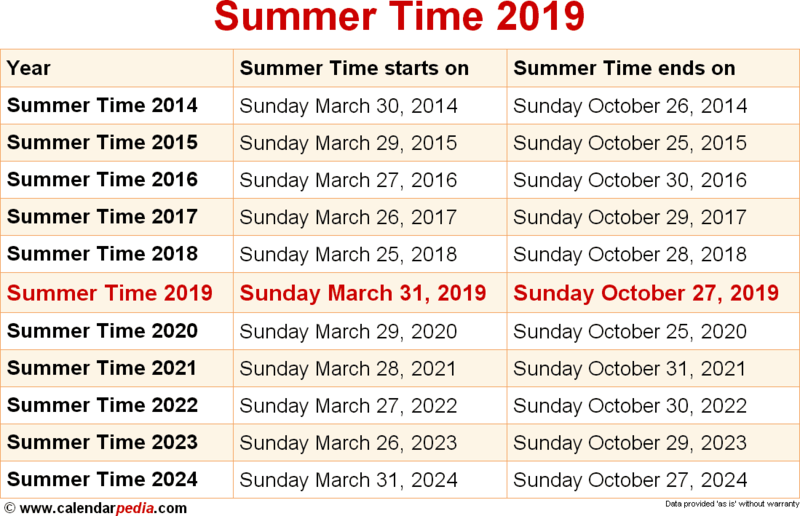 Summer Time in Europe starts on the last Sunday in March (shortly after the vernal equinox) and ends on the last Sunday in October. In contrast, in the United States and Canada, where summer time is usually referred to as "Daylight Saving Time", it is observed from the second Sunday in March to the first Sunday in November. 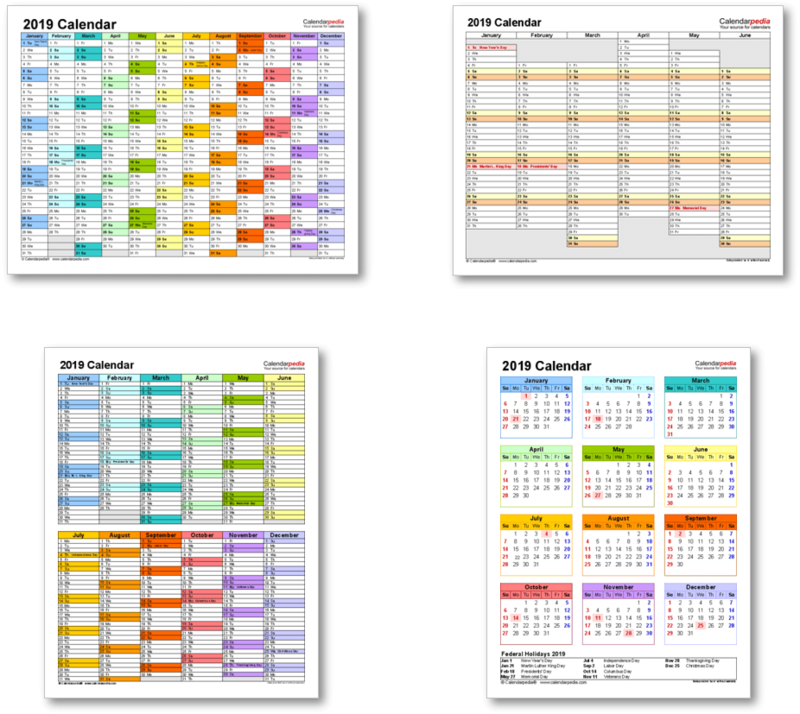 "Summer Time" is the term used for this adjusted time in Europe, for example in the United Kingdom, where it is called "British Summer Time" (BST). Countries in Continental Europe use an equivalent term in their local language, eg. "Sommerzeit" in Germany and "heure d'été" in France. The standard time observed during the rest of the year is often called "Winter Time". 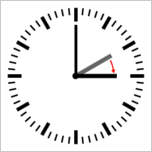 Even though the European Union extends across three time zones, all clocks in the EU change at the same moment (at 01:00 am UTC). This means that the change will happen at 01:00 AM for countries observing Greenwich Mean Time (GMT), such as Britain, Ireland and Portugal, at 02:00 AM for countries observing Central European Time (CET), which is used in most European countries, and at 03:00 AM for countries observing Eastern European Time (EET), which is used by a number of countries at the eastern edge of Europe. Iceland, Belarus and Russia do not use summer time. First used in World War I and again in World War II as a way to conserve coal during wartime, it fell out of use after each war (except in Britain, where it has been in continuous use since 1916). It was widely adopted in the 1970s as a result of the energy crisis. For more information see Summer Time in Europe on Wikipedia. When is Summer Time 2020? The next occurrence of Summer Time is marked in red.